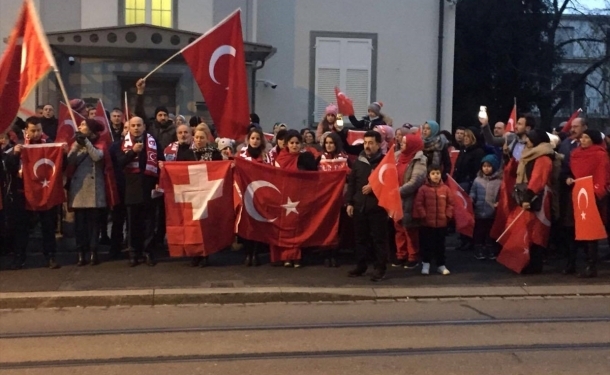 A Basel-based traffic cop with Turkish origin has been arrested on accusation that he was involved in spying activities against critics of the President Recep Tayyip Erdogan in Switzerland. According to a local newspaper, the 37-year-old police officer, identified with initials Y.S., extracted personal data of a Turkish expat in the Swiss city of Basler from the police database. The Basler resident of Turkish descent is a strong opponent of Erdogan and he had earlier avoided to disclose his address and other related data during a Union of European Turkish Democrats (UETD) meeting. UETD is a lobby organization for Turkey’s ruling Justice and Development Party (AK Party) in Europe. Y.S., also an UETD member, forwarded all the data he illegally obtained from the police database to the UETD office in Zurich, which they then transmitted to a Turkish consulate, the newspaper said quoting anonymous sources from within UETD. “If personal data of a Basler citizen had been passed on to the Turkish consulate via UETD, the criminal code is a political espionage, which is punishable by a term of imprisonment of up to three years,” the newspaper underscored. It is not the first time that UETD members are involved in pressure against Erdogan critics abroad. “You are going to be arrested, but your wife will be arrested too,” UETD Chairman Özer Eken told a Turkish expat in Sweden before asking him to spy on critics of the Turkish government in the Baltic country. According to a tape recording the Stockholm-based Radio Sweden obtained, Eken tries to force an alleged supporter of the Gülen movement into providing information on his comrades. Tuba Sarıaltın, former deputy head of UETD’s women’s branches in Germany’s Bavaria region, who also works voluntarily for a refugee foundation, has been proven to be collecting intelligence about Turkish families seeking asylum in Germany in order to report them to Turkish authorities, according to her Twitter posts.